How Do You Know If We're In A Housing Market Bubble? How Do You Know If We’re In A Housing Market Bubble? Whenever the national economy slows or home prices slip—rumors run rampant that we’re in a housing market bubble that’s about to burst. 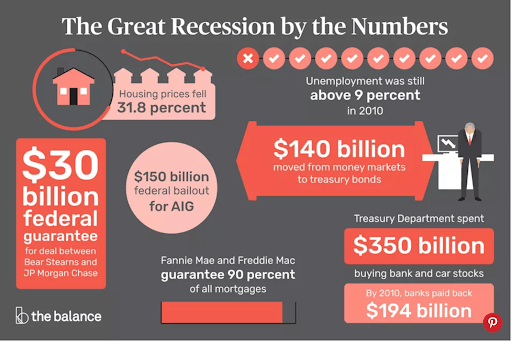 It’s no wonder that people are skittish after the Autumn 2008 financial crisis—an event experts label as the “worst economic disaster” since The Great Depression. Homeowners are concerned that another crashing economy will result in an underwater mortgage or worse, cost them excessive home equity and make it impossible to sell at a profit. But how can you tell if the housing market is in a bubble that’s ready to pop? Knowledge is power—and the only way to separate fact from fiction. So let’s take a look at the answers to the top questions home sellers have about housing market bubbles. 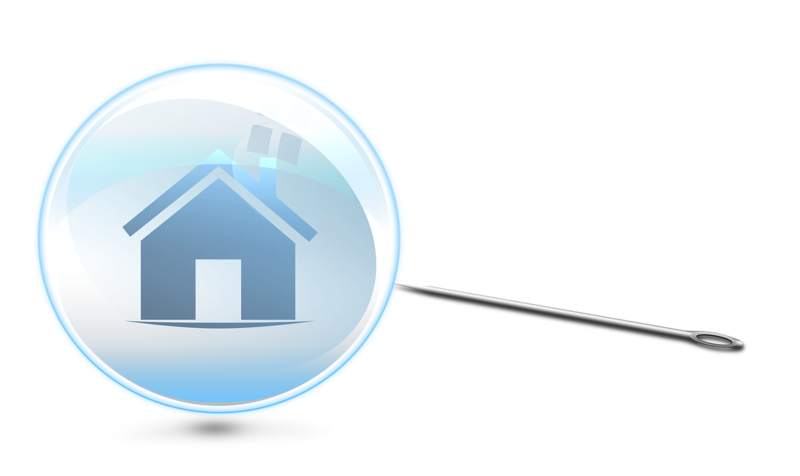 What is a housing market bubble? Simply put, a housing bubble describes the real estate market condition when home prices rise above average at a rapid rate—fueled by high demand and low inventory. “A housing market bubble is where housing prices have exceeded what can be sustained by the market,” explains Florida real estate agent Brett Keyser, who ranks in the top 1% of all active real estate agents in Sarasota and Manatee County in total number of sales. This fast and excessive increase in home values often occurs artificially because of speculation. Investors, fueled by rising home prices, begin snapping up properties at an accelerated rate, causing inventory to shrink unnaturally and prices to rise higher and faster than ever. What causes a real estate bubble? As home prices rise, more and more potential home buyers get priced out of the market. With fewer people able to afford homes, demand drops—and so do prices. That’s when the housing bubble bursts. To really understand why this happens, look to the economic principle of supply and demand—a top factor that determines home values. In real estate, inventory refers to the months of supply or how many months it would take the number of listed homes to sell. For example, if there are 600 homes available for sale in your market, and 100 sell every month, then there’s a six-month supply of inventory. Anything under six months is considered low inventory. Demand is all about the number of home buyers actively looking to purchase a home. Factors that drive demand up include low unemployment, low mortgage interest rates, and high rents (making homeownership less expensive than renting). When inventory is low and demand is high, buyers get into bidding wars for properties, driving the final sale prices up. Then, when new homes come on the market, they set their asking price at or over those inflated sold prices. If low inventory is the issue, can’t building more houses help lower prices and keep the bubble from bursting? Unfortunately, it’s not that simple. It takes a lot longer to build a house than it does for a homeowner to decide to sell. Because of this, home builders are essentially in the game of speculation, anticipating what buyer demand will be when their homes are completed and ready to sell. If home prices are on the rise for a long time, does that mean we’re in a bubble? Determining whether or not we’re in a housing bubble isn’t as simple as looking at a chart tracking home values—because rising home prices don’t automatically mean we’re in a housing bubble. Home prices rise naturally apace with a growing economy. That’s why real estate is considered as a solid, low risk investment—because land is an appreciating asset. And when home prices level off or even dip slightly, that doesn’t mean we’re automatically facing a housing market crash. So, even though home prices have been steadily rising since the housing market crash in 2008, that doesn’t mean we’re heading for another one. 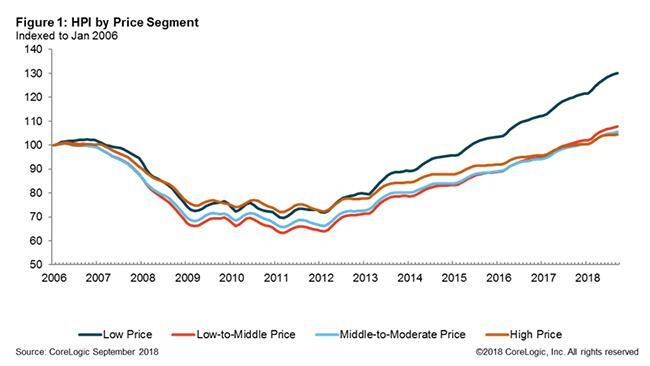 “I do not see a bubble forming although there are several overvalued housing markets in the U.S.,” says Matthew Gardner, Chief Economist with Windermere Real Estate. That doesn’t mean that another crash isn’t possible. The real estate cycle fluctuates naturally between buyer’s, seller’s, and balanced market conditions—which means home values fluctuate, too. When home prices sink, there’s always a chance that your home’s value could decrease until it’s less than you owe on your mortgage. So there is a chance that we’ll see downturns in the real estate market in the future, due to rising interest rates and reduced demand—and perhaps even a dip significant enough to result in upside-down mortgages and foreclosures. However, we probably won’t see a housing market crash as severe as the one in 2008. What did a housing market bubble have to do with the market crash in 2008? The 2008 financial crisis was so complex that dozens of books have been written to explain what went wrong. While there’s no need to dig deep into all the nuances of that economic calamity, understanding the role the real estate market played will ease any worries about it happening again. contributing factors, such as loans that required a 3.5% down payment or less, and the granting of too many adjustable-rate mortgages. But the biggest factor was this: Mortgage lenders gave those low down payment, adjustable-rate mortgages to high-risk buyers who didn’t have the documentation to prove their economic stability and ability to pay that mortgage back. To make matters worse, many of those no-doc loans got bundled up and sold on the stock market as secure products—but they weren’t. Where investors thought they were buying into an appreciating asset, they were actually buying up bad debt. The increasing demand for these mortgage-backed securities on Wall Street led banks to grant more and more no-doc loans to high risk, financially unstable buyers. When the housing market took a downturn and home prices began to dip in 2007, all of those homeowners with high-risk mortgages began to default on their loans, which led to mortgage companies filing for bankruptcy—which led to the subprime mortgage crisis. In order to prevent the economy from collapsing completely, the government stepped in to bailout the banks with the creation of the Fannie Mae and Freddie Mac Conservatorships. This need for government intervention led to massive economic reforms. What happens when the bubble bursts? We know what did happen when the housing bubble burst in 2008—home prices sank so low so fast that people were paying off mortgages on houses now valued at half or less than they paid for the property. This led to homeowners defaulting on their loans and losing their homes to foreclosure, which eventually contributed to mortgage companies collapsing. Given the financial reforms, the chances of another catastrophic housing bubble burst are slim, and even the experts admit that it’s difficult to spot a housing bubble until it pops. However, there are signs to help you spot a downturn in real estate. 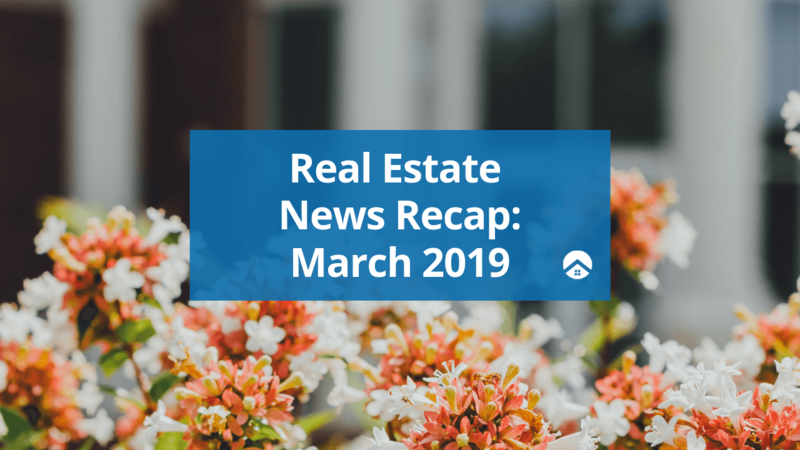 When interest rates rise, months of supply rates rise, and demand begins to wane, savvy homeowners and soon-to-be sellers know that the current seller’s market is rife for shifting to a balanced or buyer’s market. And when the housing market shifts, your financial planning and home sale strategies need to shift, too. What should homeowners and sellers do if a bubble is looming? “What goes up must come down,” or so says Isaac Newton (and Blood, Sweat Tears). But in the real estate world, what goes up, comes down, and goes back up again. When a bubble is looming, homeowners who are in no rush to sell should hold on to their homes until the market recovers. Since your property is an appreciating asset, you can rest assured that home prices will eventually rise to previous levels again—although it may take time. Homeowners would also be wise to refrain from pulling equity out unnecessarily. It’s never wise to pull value out of an asset that’s destined to be worthless, so put off using home equity for things like travel, home remodeling, or extravagant purchases. However, if you need to sell your house and you’re worried about a looming dip in the housing market, you need to do everything you can to sell your house quickly. Given recent history, fears of another housing market crash are only natural. Luckily, recent federal regulations make it unlikely that we’ll see another world economy-shaking crash. However, if the real estate market looks like it’s headed for a correction or a slightly more significant downturn, savvy home sellers know to take the necessary steps to protect their investment in their home.